Although it’s more than two years old, HTC One (M8) is still a pretty capable device. It is no longer planned for upgrades by HTC, and there’s also that news about Qualcomm not releasing updated graphic drivers for Snapdragon 801-based devices, keeping them from getting Android Nougat. At the moment, the phone can only run Android Marshmallow-based official ROM. Working: System stays alive, Wifi, Phone, Data, Sound, Camera, GPS. Known bugs: Assisted GPS – (GPS works, but AGPS does not), It takes a while for the SIM to be recognized. If you want to see other people feedback after trying out the ROM, check out the CyanogenMod 14.1 ROM for HTC One (M8) page on XDA Developers site. If you plan on bringing the latest CyanogenMod 14.1 to your HTC One (M8) device, here’s how to do it. Before commencing installation procedure, make sure you check out prerequisites. Make sure the device is rooted before starting ROM installation. Make sure the USB driver is installed in the PC or else your device will not be recognized by the computer. Make sure your device has more than 80 percent battery, or else there is a chance of the phone getting bricked if the installation procedure is interrupted before finished. This CyanogenMod CM 14.1 Android v7.1 Nougat custom ROM series has to be installed on HTC One (M8) GSM model only, if tried on other devices, it might brick them [to check your device model: Go to Settings >> About phone >> model number]. Though installing a custom ROM improves the device’s performance and UI experiences, it makes the company warranty void; the company will no longer be liable to provide updates in future [users can restore the warranty by flashing the device with stock-ROM]. Installation of custom ROM requires clearing memory in the phone, so make sure you back all the data by installing Clockwork Mod (CWM) Recovery/ TWRP in the smartphone. After downloading the CyanogenMod CM 14.1 Android v7.1 Nougat custom ROM and Google Apps on the PC, connect HTC One (M8) to the Computer via USB cord. Turn off the device and disconnect from the PC. Perform the regular Bootloader mode by press holding ‘Volume (down)’, and ‘Power’ buttons. Clear the cache memory by selecting ‘wipe cache partition’. Once done with the installation process, navigate to ‘+++++Go Back+++++’ and restart the device by opting ‘reboot system now’ seen in the recovery menu. 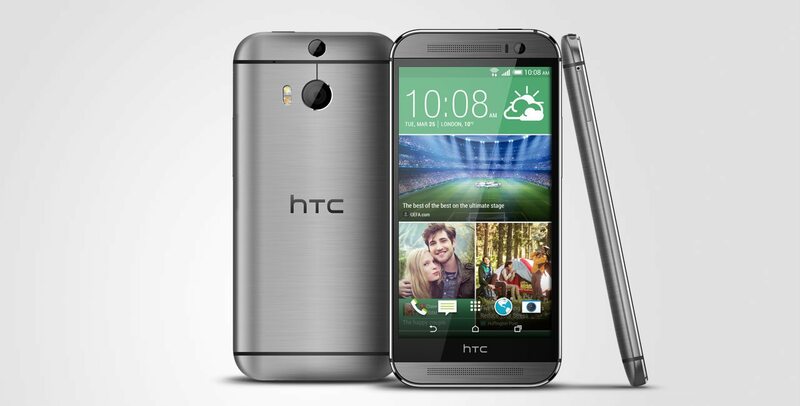 Now, your device (HTC One M8) will take a few minutes to complete the booting process. Head to Settings >> select ‘About phone’ to confirm the installation of CyanogenMod CM 14.1 Android v7.1 Nougat custom ROM. Previous articleWhatsApp Video Calling Vs. Skype Vs. FaceTime: Which Consumes Least Mobile Data?